Written by siluvia on 19 March 2013 . 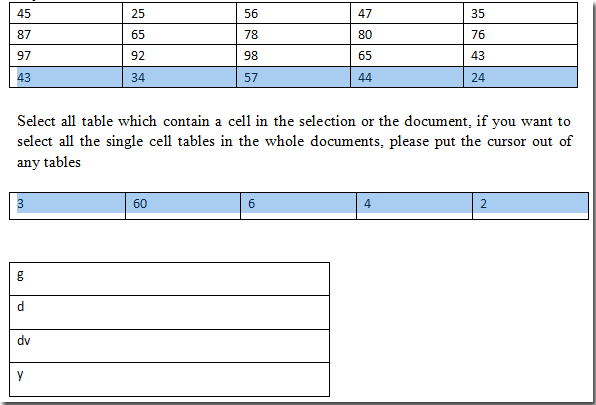 The utility Select Last Rows in Kutools for Word will help you select all last rows from numbers of tables in the whole document simply by just one click. 1. Please put the cursor out of any tables, and then apply the utility by clicking Kutools > Tables > Select last Rows. 2. 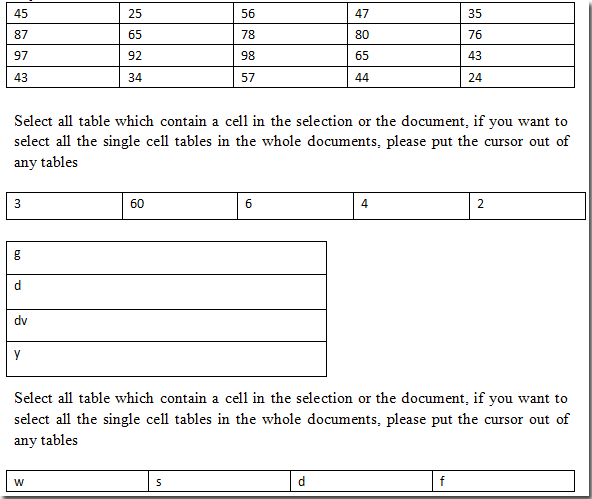 It will select all last rows of tables from the whole document. See the following screenshots. 1. 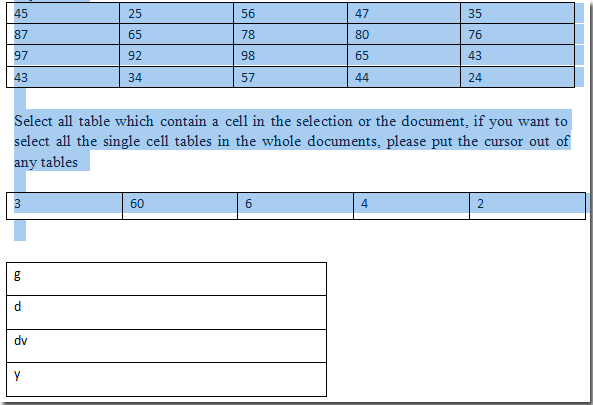 Please highlight and select a part of document, and then apply the utility by clicking Kutools>Tables>Select last Rows. 2. 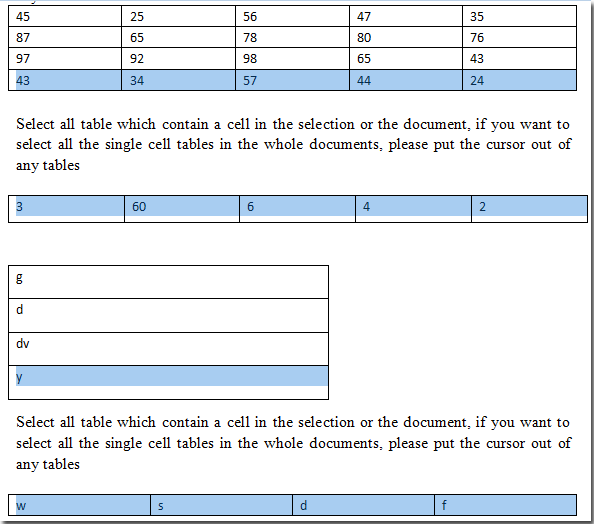 It will select all last rows of tables from a selection of the document. See the following screenshots.